When accidents happen as they invariably do, some may be inclined to turn the other cheek or—to another extreme—take matters into their own hands. Unfortunately, not all accidents are equal, and nor are all responses. Like other states, Florida law has evolved to significantly protect victims of negligence, while also acknowledging potential defenses, as well. In the wake of an injury, the victim and negligent party may both be fraught with concerns and unsure how to proceed. Both sides have basic rights at stake. Given the potential risks associated with exacerbating an already problematic situation, this is no time to take matters into your own hands. Even when it comes to communicating demands or asserting your ground, you should almost always have an attorney at your side. Before reaching out, however, it may be helpful to familiarize yourself a bit more clearly with what “negligence” actually means. 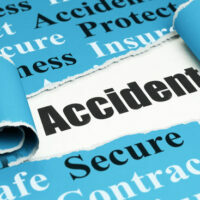 Not all accidents and injuries occur because someone was at-fault or negligent. Naturally, in deciding the issue it may first be helpful to know how the law defines negligence. Chapter 768 of Florida statutes outlines the law regarding negligence and there are a few basic elements worth understanding. In order to prove that a responsible party was negligent, there are five considerations that must be entertained amid any argument advanced by a plaintiff. First, was there a duty of care owed to the individual that suffered an injury? In many situations, individuals have a duty to act in a certain manner (or to avoid acting in a certain manner) so as to not cause injury to those nearby. This is the case for a driver on the road, or a doctor providing care to a patient. Second, did the responsible party breach what was otherwise a previously established duty? If a driver or doctor was indeed doing everything according to their duty, there may be no grounds for alleging negligence. Third, was the defendant’s breach of their duty a cause of the victim’s injuries? If the harm a plaintiff incurs was merely incidental to another individual’s behavior, there may be no substantial connection between the two. Finally, the victim must establish that there were real damages (medical bills, lost wages, pain & suffering) on account of the defendant’s relevant conduct. If these criteria have been met, a victim likely has the basis of a personal injury claim. Seeking the help of a Martindale-Hubbell AV rated attorney will assure that your basic rights and interests are well represented. The Matassini Law Firm, P.A. in Tampa has the skill and professional pedigree to provide you essential assistance during any personal injury, auto accident, or medical malpractice case.